Following the death of a Commander Airiam, the crew of the USS Discovery is left searching for answers. But the reveal of the Red Angel’s identity—and Section 31’s role in the mystery—only raises more questions. 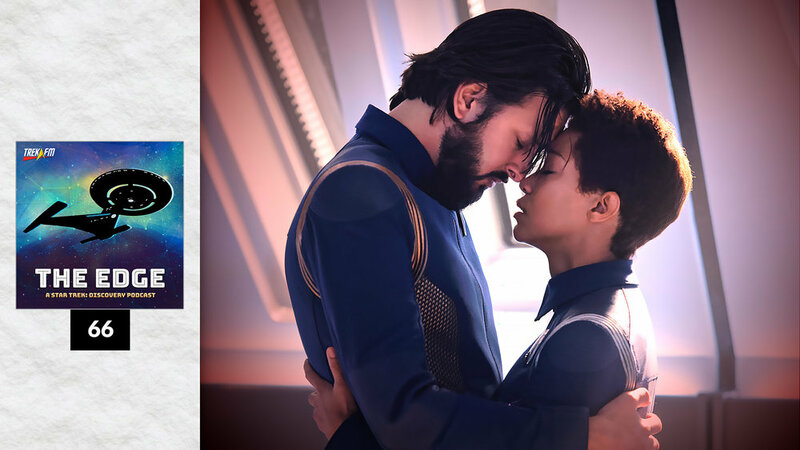 Meanwhile, two characters who have suffered a loss—Michael Burnham and Hugh Culber—begin to realize that they must move forward. In this episode of The Edge, host Patrick Devlin is joined by Hayley Stoddart of Standard Orbit to discuss “The Red Angel” and the ramifications of the story’s many character moments. We also discuss the funeral for Commander Airiam, the crew’s reaction to her death, and how artificial intelligence can evolve in unexpected ways.